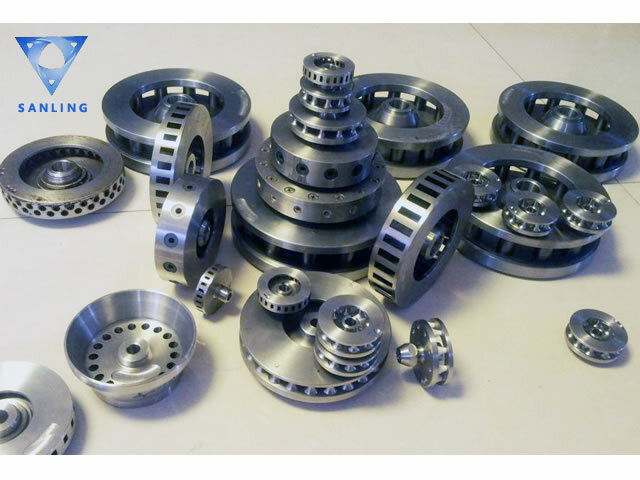 The atomizer is a spray drying device to make the atomizing medium to obtain high-energy, high-speed components, also it play an important role on the atomization efficiency and stability .It is driven by the motor through a large gear coupling, large gear and the rotating shaft of the small gear meshing, after a growth gear shaft driven two large gear to achieve high-speed rotation of the atomization disk. When the feed liquid into the centrifugal atomizer feed pipe, through the liquid distribution plate ,liquid enter into the high-speed rotation of the spray tray, the liquid is sprayed into a very small atomized droplets, the liquid surface area greatly increased, contact with hot air in drying chamber, rapid evaporation of water in a very short period of time . 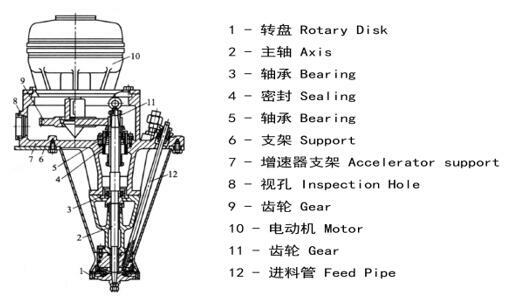 Long cantilever structure make "automatic centering" effect, reducing the spindle and atomization disk vibration. Floating bearing make three fulcrum supports for flexible shaft, The Designing can achieve rapid cross-critical shaft speed.